Good luck to all UWAHC teams this weekend! 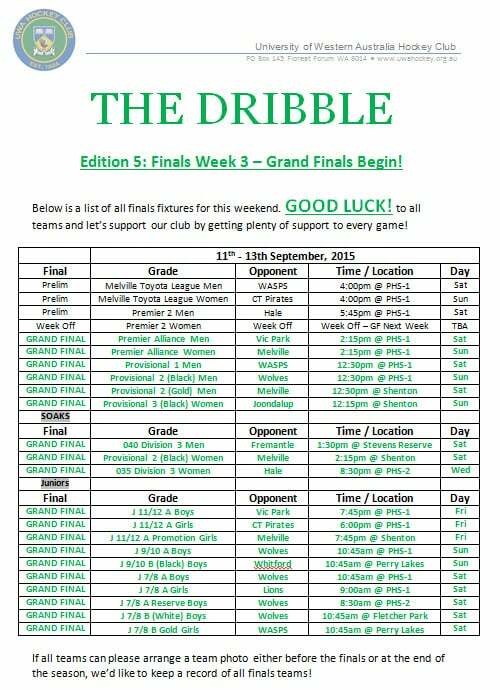 Please find below the link to the next Edition of The Dribble. Inside is a full list of club fixtures, information regarding Summer Hockey and also an exclusive club offer from Bellcourt Real Estate!